India is on a growth trajectory to be a $5 trillion economy in the next five years. The interim Indian budget for the 2019-20 fiscal year recently presented by Piyush Goyal, cabinet minister responsible for the finance ministry, offers several new initiatives that will support the growth of manufacturing sectors like textiles, agriculture and the digital economy. Particularly, the support for medium and small-scale manufacturing enterprises (MSME) will allow textile and allied sectors to boost their efforts in research and development. In the United States, supportive programs such as SBIR have enabled the growth of the R&D base and helped the small business sector to be a major employer. According to a new Indian initiative, 25% of procurement by the Indian government should be made from the MSME sector, of which 3% should be from women-owned enterprises. As handloom textiles, leather and other cottage industries utilize unorganized labor, a new social security (pension) scheme for those aged 60 years has been launched. 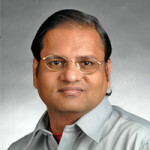 “The requirement insisted on government agencies to procure from MSMEs will definitely boost the confidence among small players, which will grow the economy and create jobs,” stated Professor Sridhar Narayanan, convener of the education committee of the Federation of Indian Chambers of Commerce and Industry, Tamil Nadu state unit. Infrastructure, agriculture, digital infrastructure and defense sectors will enjoy greater and much needed support. In all these areas, advanced textiles can find new opportunities such as defense clothing and geosynthetics. The “Clean India” initiative (Swachh Bharath) will be of great significance towards rural development and hygiene sector, where again pollution prevention technologies and medical textiles can be a valuable contributor. Companies such as Chennai-based WellGro Tech are already focusing on the “Make in India” effort towards manufacturing products such environmentally-friendly oil clean-up technologies. In order to support exports and domestic manufacturing, duty free import of some capital goods has been allowed, and the customs logistics is being fully digitized to enhance trade. 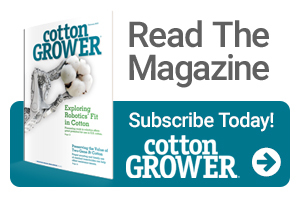 From the consumer point of view, the budget has supportive fiscal initiatives for farmers, the middle class and low-income community, which should boost spending and support nonessential commodity procurement by the general public.